In the month of March, the stock market has recovered slightly and most stocks have rallied. As such, I have decided to stay clear of the current stock market to build on my war chest while waiting for the next opportunity. 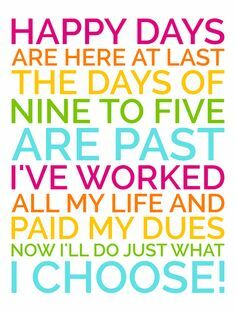 I have performed no trades in the month of March except for subscribing to OUE Hospitality Trust rights issue. OUE Hospitality Trust rights issue came as a surprise and as share prices will usually fall after rights issuance, I have decided to subscribe to the rights and also applied for excess rights. There are some stocks that I am interested in and thus I am trying to find time to do my personal analysis before jumping in. They are Kingsmen Creatives, Thai Beverage and ARA Asset Management. If you notice my stock portfolio, I have removed TVB from the chart. I have decided to keep track of my Hong Kong stock portfolio separately. The reason is because of foreign exchange fluctuations and personally I think it is easier to track the value separately. Kingsmen Creatives Ltd was founded in 1976, which means they have been around for 40 years. Kingsmen Creatives was listed on SGX in 2003. Kingsmen Creatives provide services in 5 business segments. They are Research and Design, Retail and Corporate Interiors, Exhibitions and Events, Thematic and Museums and Alternative Marketing. As of today, they have over 1,600 creative professionals and project managers. Kingsmen Creatives has a strong global presence with 19 offices worldwide. Aiming to be a market leader, the awards won by Kingsmen Creatives was countless. As of 26th February 2016, the number of shares stands at 196,744,000. The closing share price is S$0.63. Market capitalization stood at S$123.949M. Kingsmen Creatives considered a small cap stock. Kingsmen Creatives has been paying consistent dividends of 4 cents for the past 5 years. Although earnings per share has increased over the years, dividend payout has not increased. For FY2015, dividend payout fell to 3 cents (1 cent interim + 2 cents final). Net interest expense has increased significantly in 2015. The higher interest expense was incurred mainly as a result of the acquisition of a new factory unit in Malaysia in January 2015 and the corresponding bank loans taken out to finance the acquisition. Debt service ratio stands at 3.82%. Kingsmen Creatives continue to grow in Singapore and overseas. They have over 1,600 creative professionals and project managers. Kingsmen Creatives has a strong global presence with 19 offices worldwide. In 2013, executive chairman Mr Benedict Soh was awarded the “Lifetime Achievement Award” for Outstanding Contribution to Tourism by the Singapore Tourism Board, not to mention the numerous awards Kingsmen Creatives has won over the years. Kingsmen Creative have designed booths and interiors for customers at international events such as the Singapore Airshow and 28th Southeast Asian (SEA) Games. Kingsmen Creatives is an established player in the MICE industry that has design or architectural capabilities that smaller players do not have. The other big player in the MICE (meeting, incentives, conferences, events) industry is Pico Far East Holdings Ltd.
More contracts win in MICE. My personal opinion is that MICE remains weak together with the hospitality sector in Singapore in 2016 but as we all know this is cylindrical. 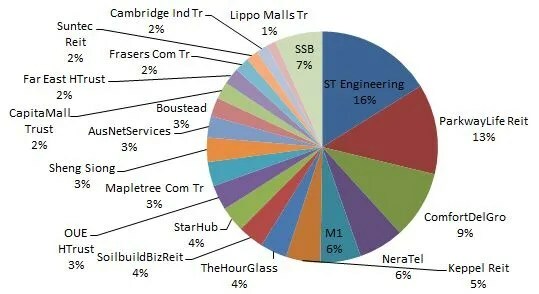 However as Kingsmen Creatives businesses does not solely depend on Singapore, the impact is more or less neutralized. On 24th March 2016, Parkway Life REIT announces the purchase of a new nursing home facility, “Silver Heights Hitsujigaoka Ichiban-kan & Nibankan” for JPY1,100 million. This is approximately S$13.6 million. The nursing home facility is located in the residential neighborhood within Sapporo City, capital city of Hokkaido prefecture with a master lease of 20 years. The newly acquired nursing home facility is expected to generate a net property yield of 6.7%. Occupancy of the nursing home facility is healthy at 94%. The cost for the acquisition of the new nursing home will be funded via long-term JPY denominated debts. The benefits of this approach is natural hedging Parkway Life REIT against JPY foreign exchange fluctuations. 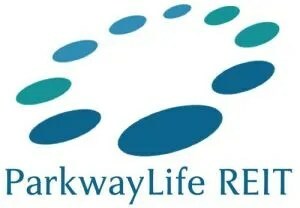 With the acquisition, Parkway Life REIT gearing will increase from 36.6% to 37.1%. With the newly addition, Parkway Life REIT will have 48 properties.